Always one to add a little levity to the conversation, Chad often describes Café Momentum as “taking kids out of jail and teaching them to play with knives and fire.” But levity aside, it’s this charisma and passion to teach life, social and employment skills to Dallas’ most at-risk youth that makes Houser a hit with everyone from philanthropists and dinner-goers to the young people participating in the program. After 17 years as a chef, Chad sold his partnership of Parigi Restaurant to devote his full attention to the role of Executive Director of Café Momentum in 2012.
of Upstanders Season 2, a series created to shine a light on stories of everyday Americans who are doing extraordinarily courageous things. Chad has received multiple nominations from D Magazine for “Best Up-And-Coming Chef” (2010) and “Best Chef” (2011 and 2012). In 2011, he received the Edible Dallas/Fort Worth “Local Hero – Chef” award. In 2017 and again for 2018 Chad has been named in the Best 500 Business Leaders in Dallas. 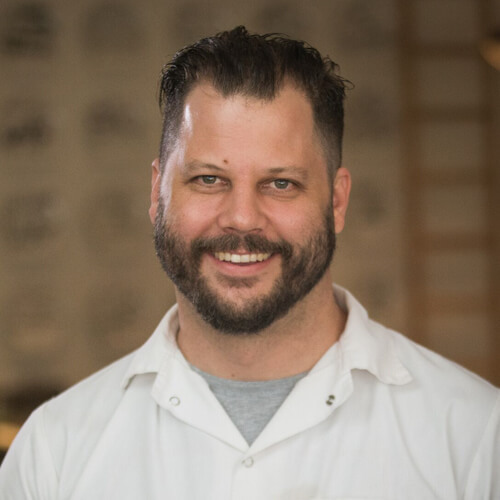 Just last month, Chad Houser received national recognition as a CNN Hero for his work to with Cafe Momentum. Chad was also selected as Dallas Business Journal’s “40 Under 40,” and as one of the United States Junior Chamber’s (Jaycee) 2015 Ten Outstanding Young Americans. He has been named to the “Top 50 Under 40” by the Social Enterprise Alliance, an “Urban Innovator to Watch” by the New Cities Foundation, as one of “30 Most Interesting People in the Metro Area” by the Dallas Observer, and one of Good Magazine’s “Good 100,” individuals at the cutting edge of creative impact across the globe.